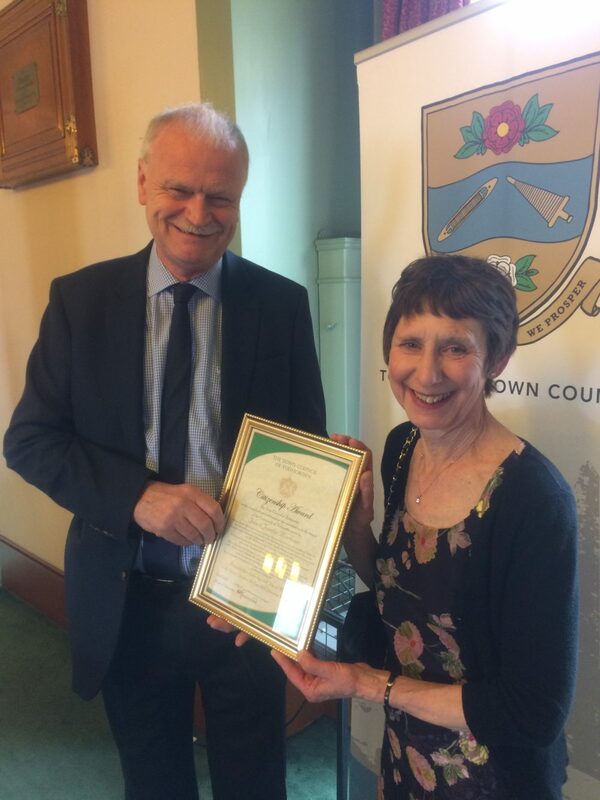 We’re delighted to report that our long-serving Chair and Secretary John and Jennifer Moorhouse (violinist and cellist respectively) have been awarded a Citizenship Award by Todmorden Town Council. Nominations for the awards are made by members of the community to recognise people or organisations who have shown exceptional service to the town and great community spirit. John and Jennifer were nominated for their amazing contribution to the orchestra and the community of Todmorden. John and Jennifer were presented with the award by the outgoing mayor of Todmorden Tony Greenwood in a presentation at the annual mayor’s day in May.